Rate: They have no rate schedule on their website but they advertise $35 per night. They do have Good Sam discounts. All I can tell you is with our Good Sam discount and after taxes, we paid $67.64 for a two-night stay. There is a seasonal rate if you would care to stay from April to October. Lot: This is a medium sized park. The lots are gravel or dirt based and level. All lots are back-in. 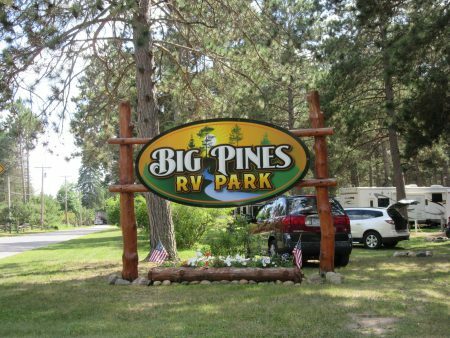 The park is maintained nicely and resembles a pine forest. There was no park map on the website, so the picture here is the best I can do on lot map. However, because of the excess of mature trees, many of the lots are obscured. 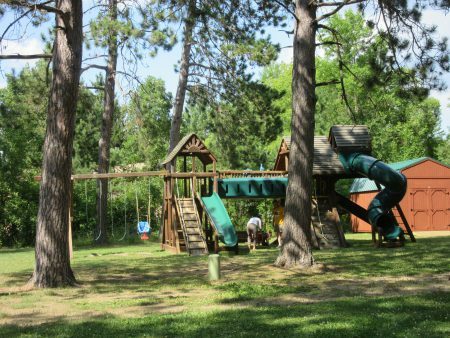 Other Conveniences: Showers, Bathrooms, Playground for kids, game room, and club house for get togethers. Positives: The park is very pretty with many mature trees (the pines smelled very nice). 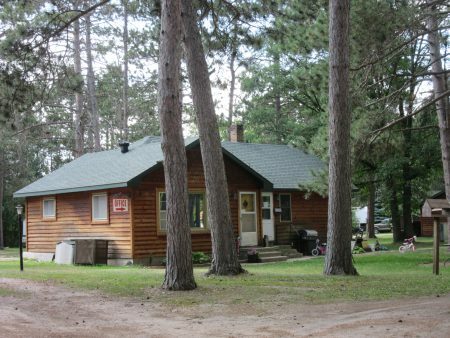 Located in the town of Park Rapids, access to shopping dining and supplies are quick and easy. 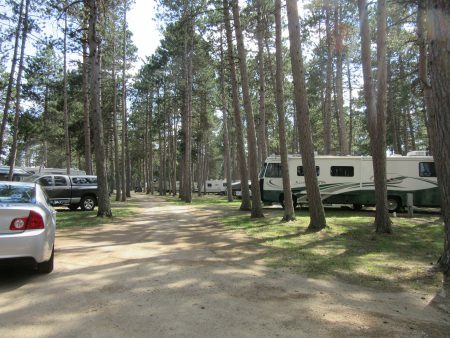 This park is also located near the source of the Mississippi River (Lake Itasca) and the home of Paul Bunyan and Babe the blue ox (Bemidji). There are few long-term campers in this park. 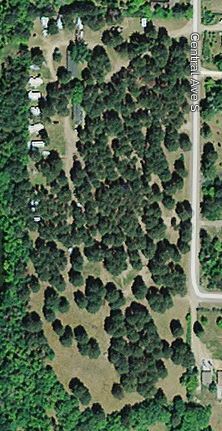 Negatives: The trees are close to the road, and you need to be careful maneuvering your rig into your lot and out of the park. 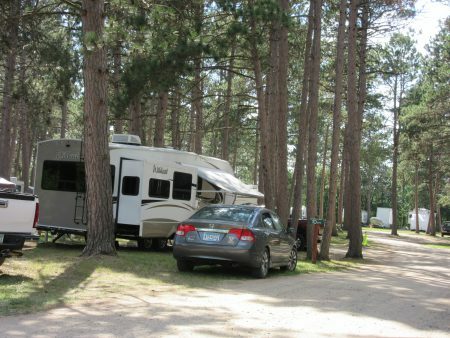 This park is set to accommodate campers for a quick overnight, weekend, or a week. It is a restful place and there are many lakes if you happen to love fishing.